So, you’ve decided that the time is right for you to dive head-first into influencer marketing, but you aren’t exactly sure where to begin? You aren’t alone. 39% of marketers in a recent survey said that they planned to increase their influencer marketing budgets this year. Maybe you have a product that is ready to be sold but don’t know how to begin the process of identifying relevant influencers and securing partnerships that are going to result in measurable sales for your brand. With more than 70% of millennials using recommendations from peers when making buying decisions, influencer marketing provides a vital channel for B2C growth. That’s alright. Most companies start at this point when they want to break into influencer marketing. It’s a highly lucrative space but one that can be a bit confusing if you don’t have prior experience in the space. 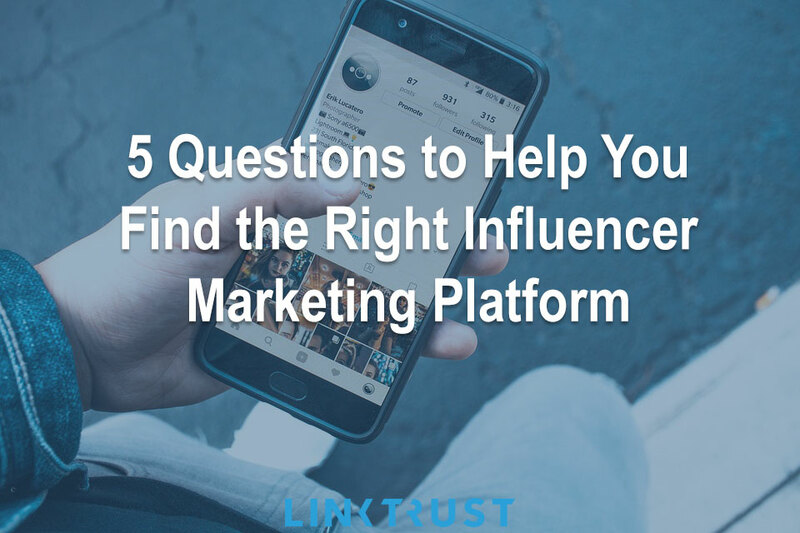 Should you reach out to influencers on an individual basis through the social media platforms that they use? Do they have platforms or agencies that they contract their sponsored content opportunities through? All reasonable questions when you have never paid for sponsored influencer content before. The easiest way to get started with influencer marketing is to go through an influencer marketing platform. These are websites that attract influencers to their platform and connect companies that would like to publish sponsored content with the influencers that have sizable followings in their industry. Question #1: Do they have a pool of influencers that are relevant to your brand? This question is the most important question that you need to ask. Do they have influencers that are relevant to your brand? If you sell fitness products, you probably want to be connected with influencers that have followings that are interested in fitness. You wouldn’t want to show your fitness-related sponsored content to a bunch of railroad enthusiasts. The pool of influencers that any platform has is a critical consideration. Most platforms will offer a trial period that will allow you to see the different influencers that the platform allows you to connect with. That will give you plenty of time to determine whether or not there are enough candidates that would make the platform as a whole a good fit. Question #2: Do they have tools for you to measure engagement? 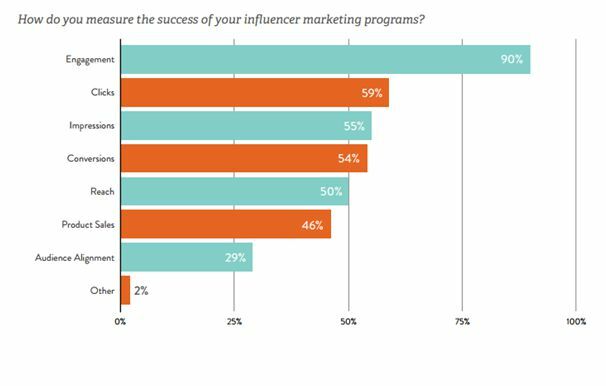 Most marketers say that measuring their influencer marketing campaigns is a huge challenge. Measuring engagement is absolutely critical for determining whether your influencer marketing campaigns have been fruitful. Yes, there are some things you can measure yourself. You’ll be able to see all of the incoming traffic (to your website or landing page) from any of the campaigns that you run. From there you’ll have access to information like the bounce rate of the traffic that you received, the conversion rate of the traffic, and other analytics that will allow you to begin working on optimizing your campaigns. However, that is only one side of the coin when it comes to measuring the effectiveness of social traffic. There are many interactions and events that take place solely on the social network in question, which you will not have direct access to. How many likes did each post receive? Did it foster any conversation? Did your influencer receive any DMs about the content that they posted? How many people saw the post in total? All of this is relevant information that tells a story about the overall success of your influencer marketing campaign as a whole. There is a brand awareness factor that has to be taken into account to accurately understand the profitability of any campaign. Question #3: What is the reach of the relevant influencers on their platform? It may seem basic, but it is a very important question that needs to be asked. There is a big difference between a platform having a handful of very big influencers, and a platform that has relationships with several dozen mid-sized influencers. How much overlap do those influencers have with each other? Knowing this will help you to better understand where to spend your money and which influencers you’d like to work with. Both the reach of individual influencers and the reach of all of the influencers within your category on the platform as a whole are relevant here. Depending on your budget, some platforms may not have enough reach within your industry to even cover the budget that you would like to spend. Knowing this will help to save you a lot of time on the process of finding the right influencer marketing platform. Question #4: What rules and options are in place regarding posting frequency? How often are you allowed to post sponsored content with a specific influencer? Even more important — how often are influencers allowed to post sponsored content? An influencer that shares sponsored content more than they genuinely post new updates are not going to have a very engaged audience. If they only post sponsored content, will their audience really hang on their every word and listen to their recommendations? Most platforms have a specific rule set that their participating influencers have to follow. Understanding these rules can help you provide insight into the quality of the campaigns that you can run through their platform. Question #5: Are you able to speak with the influencers? Some platforms will allow you to have direct conversations with the influencers, others will not. Some will only allow for you to provide specific instructions to them through their system. Understanding how these communications take place is important because it will affect how you roll out your campaigns. If you are able to speak with influencers, you could provide specific instructions for handling DMs and helping you to get the most out of each campaign. Choosing the right influencer marketing platform is an important task. With so many of them out there, it’s easy to get lost in all of the options that you have. Too often, companies will fail to do a good job of vetting potential platforms and in the end, they will have to try several before they find the one that is a good fit for them. Asking the questions outlined in this article can help you to get off on the right foot.